If your car has an engine issue of any kind, your check engine light will flash on (hopefully!). When the light illuminates on your car's dashboard, do you interpret the light as the issue that needs to be addressed? Do you break the light bulb? Do you snip the wire that completes the circuit to the bulb? Do you smash the dash with a hammer until it breaks? Do you put tape over the light so you can't see it anymore? If you do, your car probably won't run very well for very long! This light is an indication that something has gone awry under the hood. As a result, you take your vehicle to an automobile professional, someone who can seek and root out the underlying reason that caused the light to pop on in the first place. They might find that that your brake fluid is low, that you need an oil change, or that some specific part needs replacing. The light coming on is a simple case of cause and effect, and everyone knows so. The effect is the light turning on, and the cause is what the car professional will hopefully find for you. Your body works in much the same way. When there is something wrong anywhere in our bodies, pain and discomfort typically warn us that we should probably check under our body's hood. So why is it that when we get pain in our hamstrings, low back, or feet we automatically assume that the area in pain is the place that needs the attention? Could it be that this pain is an effect caused by dysfunction or imbalance elsewhere in our bodies? You have two basic options when your check engine light illuminates: mask the light by breaking it or covering it up, or bring your vehicle to mechanic, a car specialist, someone who can figure out why that light is on. In much the same way, you have two options when your body is in pain: take medications or implement techniques that cover up the pain, or bring your body to a muscle specialist, a "muscle mechanic" if you will, someone who can figure out why you are in pain. We know where to find mechanics for our vehicles; they're on virtually every corner. But to whom can you take your body with the same confidence you take your car when a thorough assessment is in order? 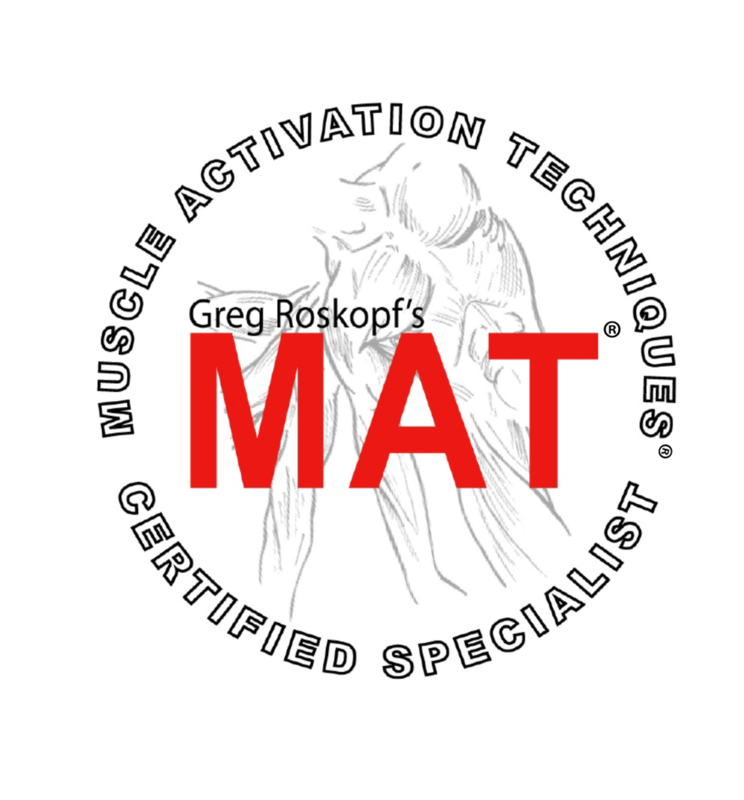 Enter Greg Roskopf's Muscle Activation Techniques (MAT). As an MAT practitioner, one can assess and address where those root causes of your pain are. Instead of targeting the area that is in pain, which is typically not the area causing you pain, we can find out what that pain is actually trying to warn you of. This allows MAT practitioners to get straight to the cause instead of fighting back against the symptoms of your issue(s). Just as changing the oil and getting a tune up regularly on your vehicle will increase its longevity and combat the constant wear of driving, consistent muscular tuneups with MAT will increase the longevity and quality of your body as life beats it up. Discover the difference of Muscle Activation Techniques for yourself! Find and contact your local MAT practitioner here!